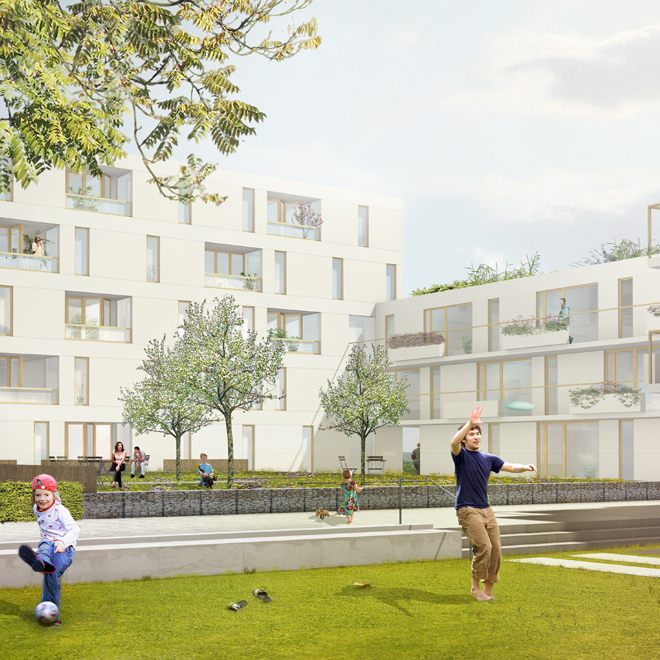 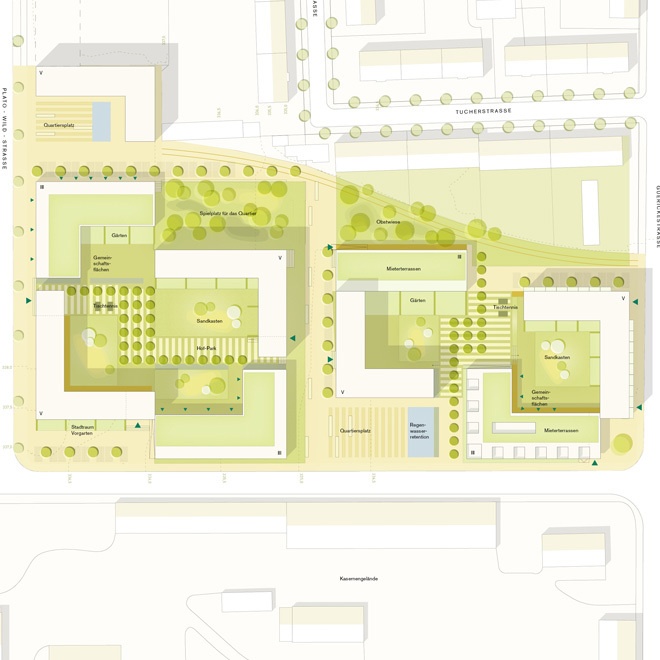 The sponsored pilot-project for inner-city neighbourhoods provides forward-looking proposals for 250 family-friendly homes on a former military site. 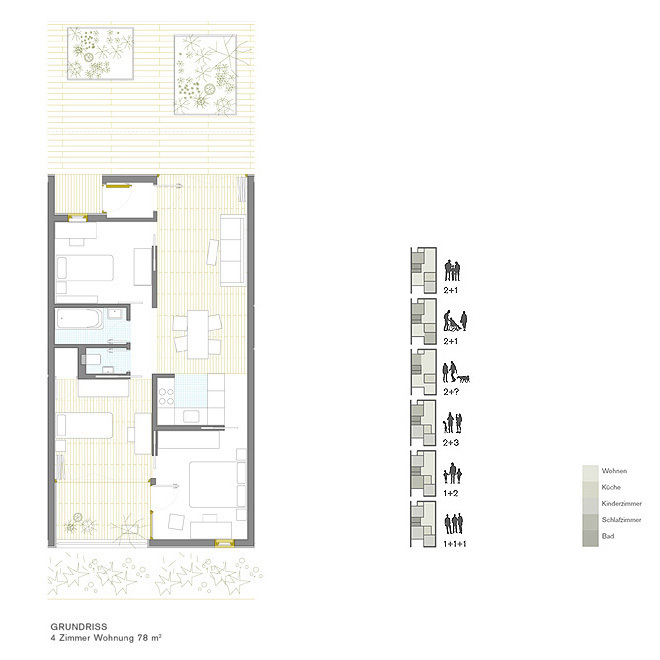 The idea of the “cottage in the country” provides the basis from which the project is developed. 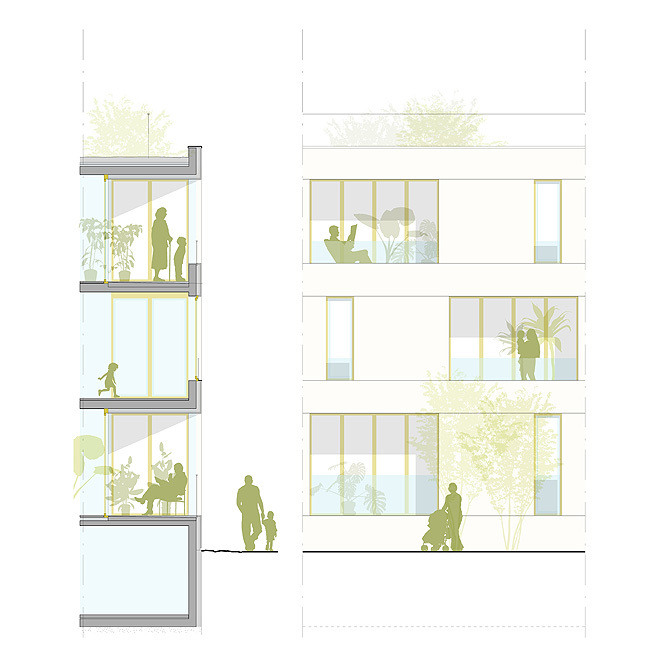 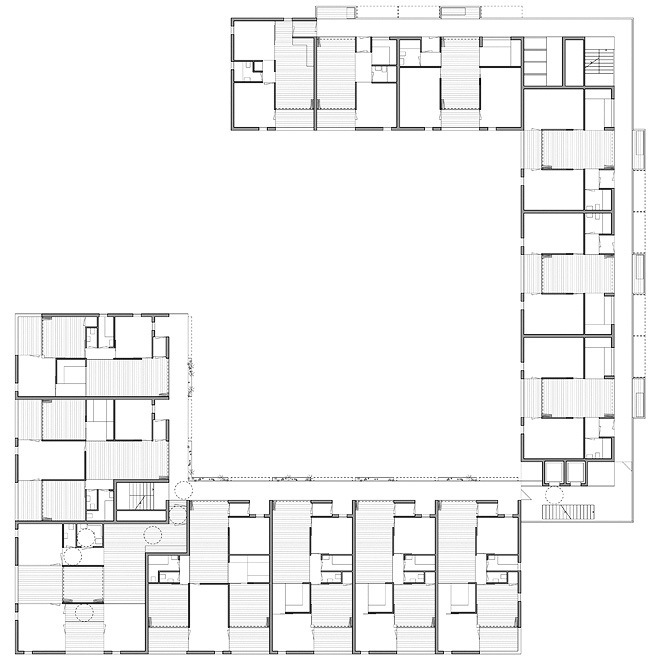 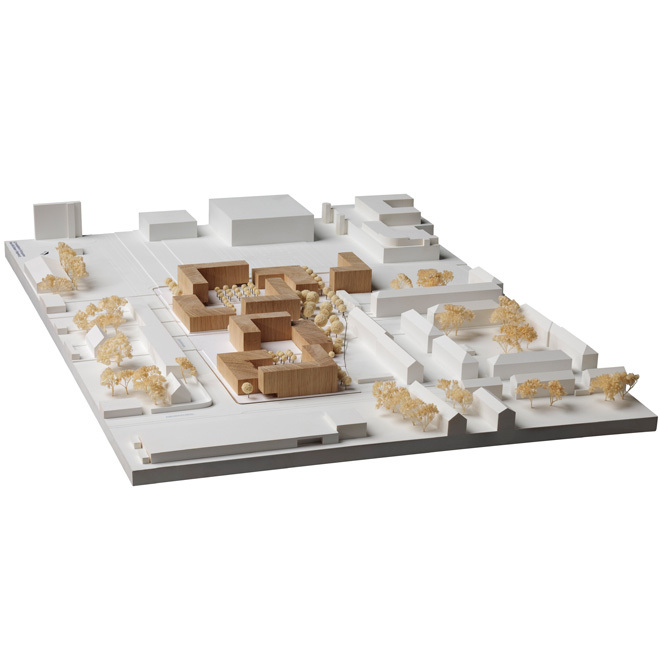 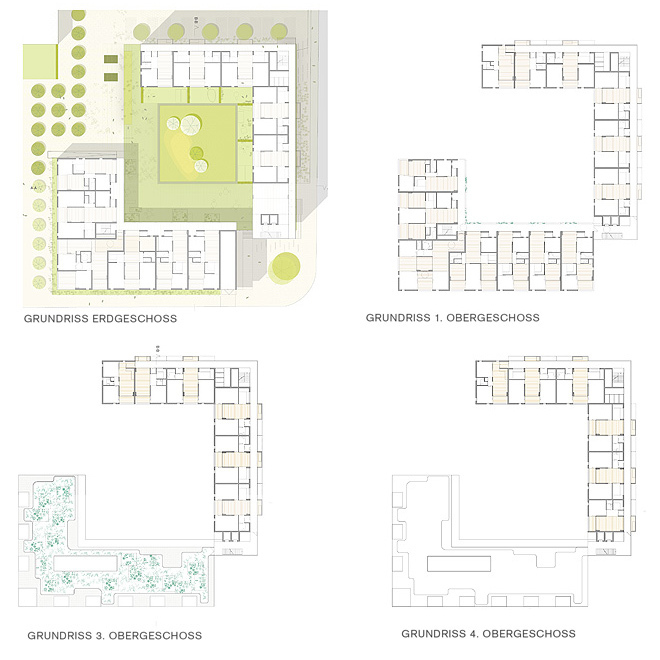 The design offers a new building typology, grouped around common courtyards. 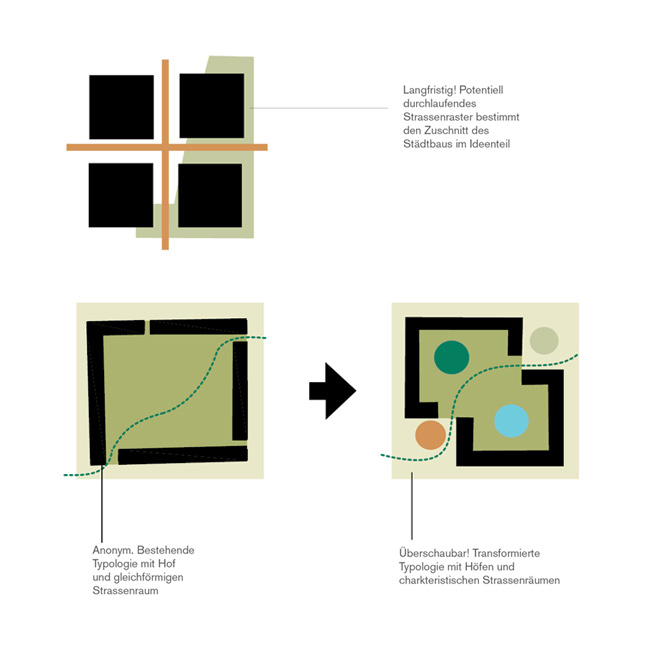 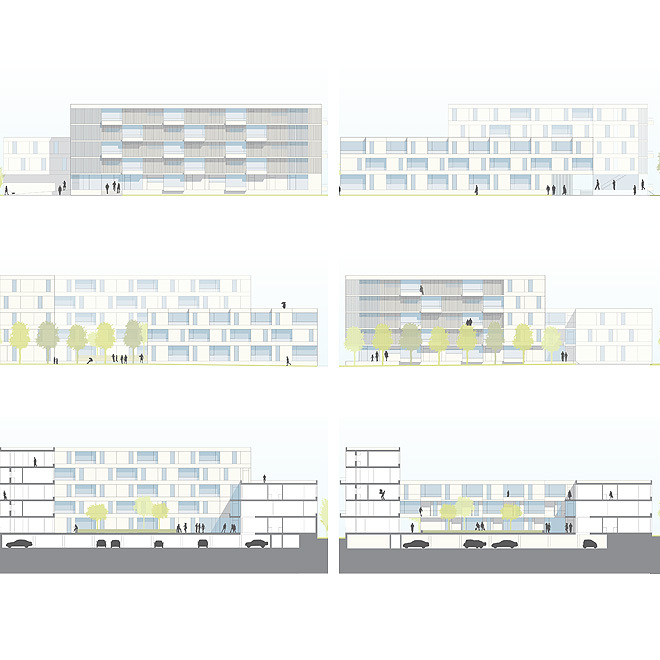 The loose perimeter-block typology of the former barracks-area is reinterpreted and further developed. 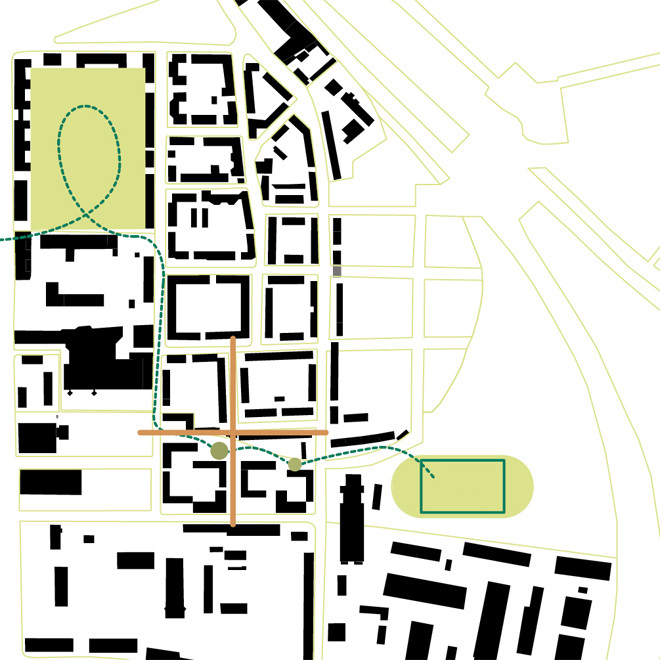 The existing occurrence of paths cutting through the courtyards is strengthened, supporting a tiered network of public and semi-public spaces. 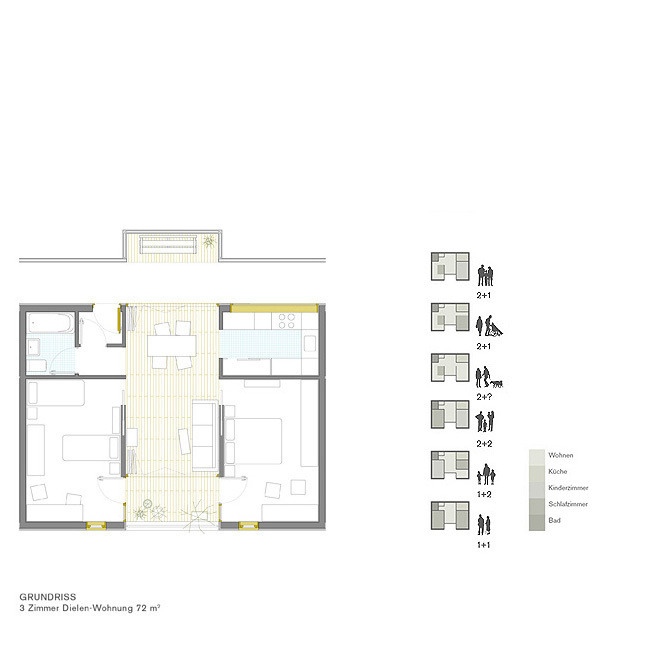 The different radiuses of movement of the various age-groups begin to overlap. 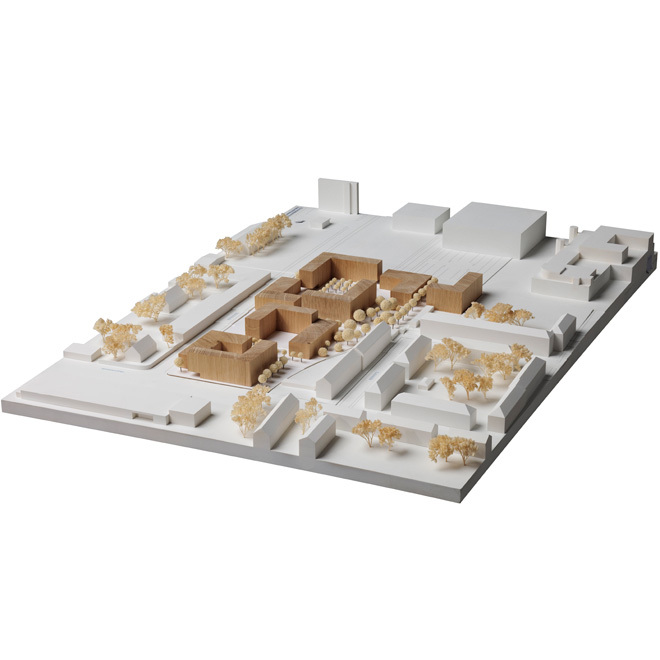 The new courtyards are staggered in height and are framed by buildings pairs, each consisting of a 5-storey and a 3-storey L-form. 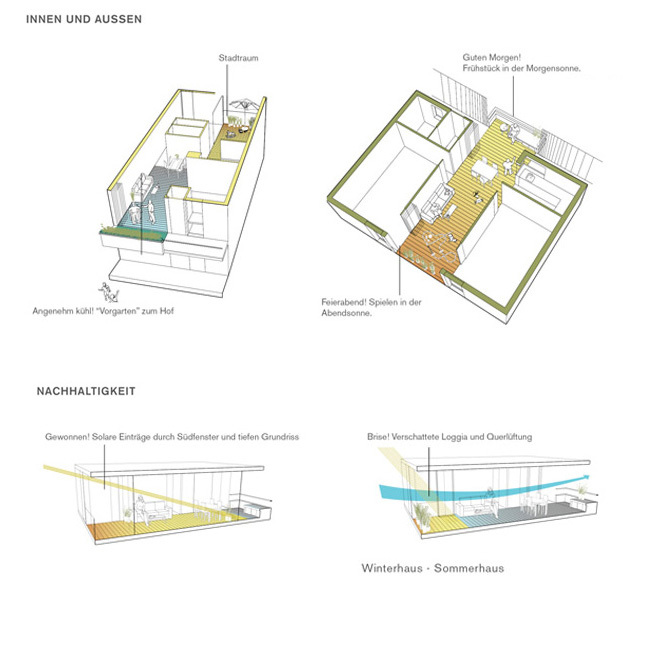 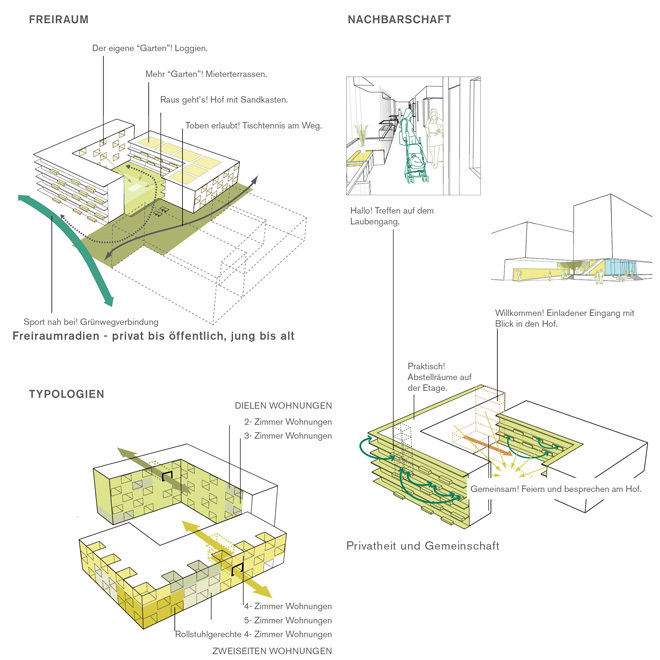 This promotes the efficient ventilation of houses from an urban-climate perspective, while additionally projecting a diverse face to the neighbourhood.